Female personal financial advisers experience the widest wage discrepancy of all. When it comes to gender pay inequality, little has improved in the past decade. Women working for full-time wages or salary still earn approximately 20 percent less than their male counterparts in the same positions, according to the Bureau of Labor Statistics. And some careers fare worse than others. Using 2008-2017 data from BLS, analysts at 24/7 Wall St. ventured to find the worst jobs for women based on weekly gender pay inequality in 150 full-time wage and salary occupations. 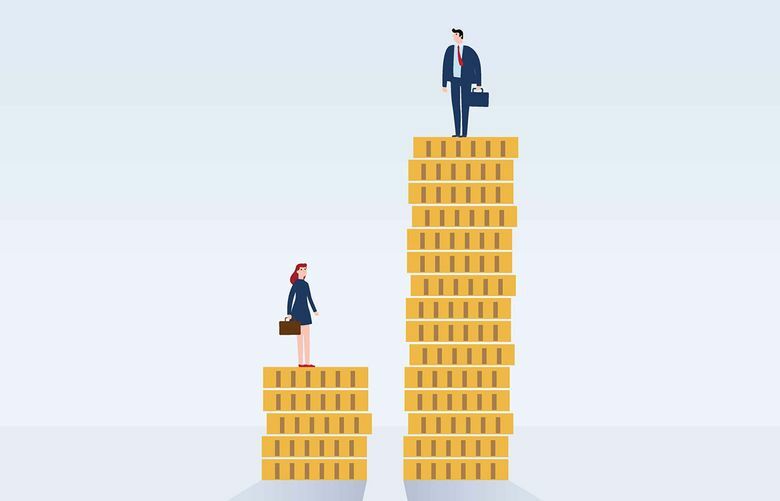 The majority of industries with the largest gender pay gaps are male-dominated, analysts found. Of the 10 job titles on the list, female personal financial advisers experience the widest pay discrepancy of all. In fact, “the typical female financial adviser earns less than $1,000 a week, compared to the median weekly wage for men in the occupation of $1,662,” a 58.9 percent disparity, according to the report. 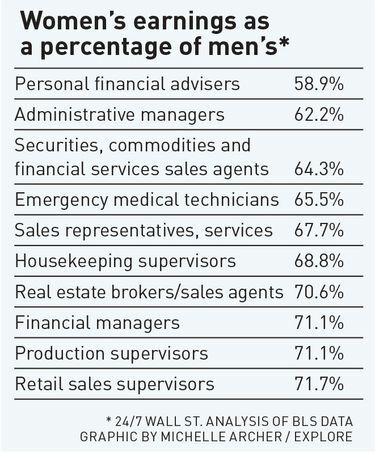 Administrative services managers were deemed second worst, followed by securities, commodities and financial services sales agents — all male-dominated fields. In 2017, median weekly earnings were $770 for all women age 16 and older. For men age 16 and older, median weekly earnings were $941. Learn more about the 24/7 Wall St. study and its methodology at 247wallst.com.